San Carlos home contractors, security, cleaning, maintenance, repair services - download free pdf! San Carlos information about professional services for home owners including security, cleaning, electrical, plumbing, A/C appliance repair, pest control, hardware, paint and more! Homeowners in San Carlos have a wealth of quality professional service providers who can help them maintain and improve their houses and condominiums. From alarms and security to cleaning, repair, construction, telephone and telcom connections and upgrades and other services that make home ownership easy! The fine businesses listed below are just some of our favorites! Manuel Granados is one of the most experienced general contractors in San Carlos, and a long-time favorite of Siesta Realty and our clients. Manuel has worked in construction in San Carlos for over two decades -- seven years at Loma del Mar and over thirteen years for Siesta. Manuel's experience ranges from gut-rehabs of existing structures to remodeling, electrical contracting, carpentry, welding and window installation and replacement. 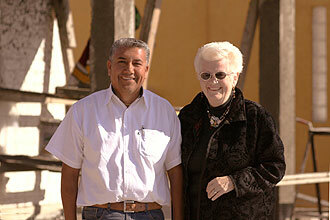 Manuel was born in Guerrero State, Mexico, and has lived in San Carlos / Guaymas for fourty years. Married and the father of two young children, in his spare time he likes to spend quality time with his family and to travel. Manuel's motto is "Whatever you need done, just ask", and his firm is available to perform all general handyman services. Cyberco Security in San Carlos is a private alarm and security firm that takes the saftey of your home very seriously! Cyberco is fully licensed by the State of Sonora and the Municipality of Guaymas and, from their state-of-the-art headquarters in the San Carlos Bahia, Cyberco electronically monitors houses and condominiums throughout San Carlos. The firm operates a fleet of patrol vehicles that conduct frequent physical inspections of our clients' properties -- whether they are in residence or not -- and that provide immediate vehicle response to any alarm at any time. Cyberco Security protects homes in San Carlos, Guaymas, Empalme and Alamos, Sonora. C.M. Plumbing in San Carlos is a family-run plumbing and general contracting firm with an excellent reputation. Headed and managed by master plumber Chuck Rennie and his wife Maria, C.M. Plumbing is expert in construction and renovation services as well as plumbing. 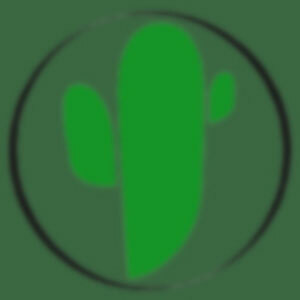 Founded in 2006, C.M. Plumbing has a long track record of satisfied clients, and is a highly recommended construction resource for San Carlos home owners. Plumbers from C.M. Plumbing can install whole-house water softener systems, reverse osmosis drinking water systems, whole house filters, ultraviolet / UV sterilization systems and water pumps. C.M. Plumbing is located within a strikingly clean and well organized compound in Ranchitos, and can be reached 24-hours at their cell phone number for emergency plumbing services. Ormas Refrigeracion has provided skilled professional air conditioning and appliance repair to homeowners in San Carlos for over three decades! 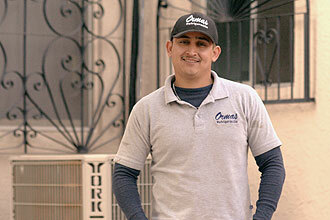 Founded by the late Marco Antonio Ortega Romo in 1980 and now headed by his son, owner and senior technician Marco Raul Ortega Armendariz, Ormas is highly experienced at repairing, servicing and maintaining not only air conditioners but washers, dryers, electric and gas stoves and dishwashers. Ormas Refrigeracion has substantial experience installing larger commercial air conditioning systems, and has worked with numerous San Carlos homeowners and contractors installing mini-split A/C systems. 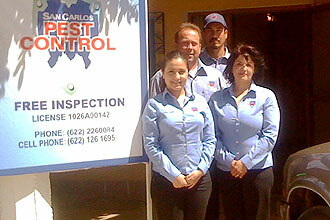 San Carlos Pest Control is owned by American Phillip Polk and his wife Maria. A family business, their daughter Catalina is also active in its operation. Phil is a licensed exterminator and pest control specialist in Sonora State, and is also licensed in Arkansas and Arizona. Using only the best quality -- safe -- United States approved products, San Carlos Pest Control keeps your San Carlos home insect free. San Carlos Pest Control does all kinds of pre and post-construction pest and termite control, and backs all of their services with a 2-year guarantee. Continuing service agreements are available. From full-blown insect infestations to nuisances, a one-time treatment or periodic preventative maintenance, San Carlos Pest Control is a business you can trust! Located next to Evie's Cafe (just past the Marina Terra Hotel), San Carlos Pest Control is open from 9am - 5pm Monday - Friday and can be reached any time at their mobile number. Carpenteria en General is an excellent choice for expert carpentry in San Carlos. Founded by master carpenter Fernando Cano Rascon and conveniently located in Ranchitos, Carpenteria en General can fabricate and repair doors, closets, custom cabinetry, shelves and much more! Ferreteria Industrial in San Carlos is a full service construction supply and hardware store that sells a wide range of building materials. Ferreteria Ranchitos in San Carlos is a full service construction supply and hardware store that sells a wide range of building materials. Home Depot Guaymas Building Materials, Hardware, Appliances and much more! The Home Depot in Guaymas is a large-footprint store that will be very familiar to Americans and Canadians. This brand new construction supply and hardware store is very well stocked and has all of the departments that you would expect: kitchen, bath, electrical supplies, plumbing supplies, lighting, windows, doors, paint, tools, gardening supplies and much more! San Carlos Cerrajeria in San Carlos -- sometimes referred to as Cerrajeria Cesar after founder and owner Cesareo Elizarraras Galindo -- is a full-service locksmith that can do everything from installing locks, repairing locks, duplicating keys, providing emergency entry to cars and homes when you've locked yourself out and much more! Conveniently located on Boulevard Manlio Fabio Beltrones right next to the entrance of the Totonaka RV / Trailer Park -- San Carlos Cerrajeria can program electronic keys for cars. Cerrajeria El Vigia in Guaymas is a full-service locksmith that serves San Carlos. The firm has several locations in Guaymas including the one at the Ley El Vigia shopping center and a location between Walmart and Sam's Club at La Gran Patio. US Border Movers in San Carlos is a leading expert in assisting people and corporations relocate to Mexico. Border Movers has been moving families and executives to Mexico since 1991. US Border Movers in San Carlos provides complete moving services from professional movers, whether it's a local move within San Carlos or an international move requiring customs clearance. Pintu Sayer in San Carlos ia a professional paint store that sells Comex paints, painting supplies and does custom tinting. Pintu Sayer carries complete lines of paint for interior, exterior, industrial and marine use, including many waterproofing products for wood. Pinturas El Creston in San Carlos is a professional paint store that sells Sherwin Williams paints, painting supplies and does custom tinting. Pinturas El Creston carries complete lines of paint for interior, exterior, industrial and marine use, including many waterproofing products for wood. Pagasa delivers propane gas in San Carlos. Rivera Gas delivers propane gas in San Carlos. Tomza de Sonora delivers propane gas in San Carlos. Bahia Storage in San Carlos provides secure storage for boats and household valuables. Guardian Self Storage in San Carlos provides secure storage for household valuables with US standards of security, 24 hour video surveillance, key padded entry and access, individual door alarms on every unit and client access from 7am to 7pm seven days a week. Every storage unit is fumigated and treated for termites, monthly and long-term storage available. Cell phone purchase, repair and unblocking of USA cell phones for use in Mexico! Megacable cable television and internet service in San Carlos. Movistar cell phone service in San Carlos. Nextel cell phone accounts and wireless data plans in San Carlos. Telcel cell phone accounts, wireless data plans and pay-as-you-go cell phones in San Carlos. Telmex land-line telephone and internet services in San Carlos. Rodolfo was a foreign exchange student in the United States and taught English in Guaymas for over 10 years. His excellent command of English assures accurate translations of documents and contracts. He also offers interpreter services for live translation at meetings. Comision Federal de Electricidad is the near-monopoly electricity service provider in Mexico. All electrical service in San Carlos is provided by CFE, and they respond to electrical emergencies. As a home owner in San Carlos you will need to establish an account with CFE. Comision Estatal Del Agua is the water service provider in the State of Sonora. All city water services in San Carlos are provided by CEA, and they respond to water emergencies. As a home owner in San Carlos you will need to establish an account with CEA. Delfin Agua Purificada has been delivering purified water in San Carlos for decades. Delfin delivers garrafons. Iceberg has been delivering purified water in San Carlos for decades. Located just a couple of doors to the west of Santa Rosa Market on Boulevard Manlio Fabio Beltrones, Iceberg delivers garrafons, and also operates a tanker truck for larger deliveries. Martin's H2O specializes in large volume purified water deliveries in San Carlos and Guaymas. You've probably seen their very cool big blue truck! Installation and maintenance of whole-house water treatment systems. Founded by Gerardo Hernandez, Trabajos de Vidrios y Aluminio has served homeowners in San Carlos for over 20 years with professional replacement, fabrication, installation and repair of windows, screens, frames, doors, shower doors and more! Free estimates. Professional repair, replacement and installation of windows, screens, frames, doors, shower doors, mirrors and more! Free estimates. 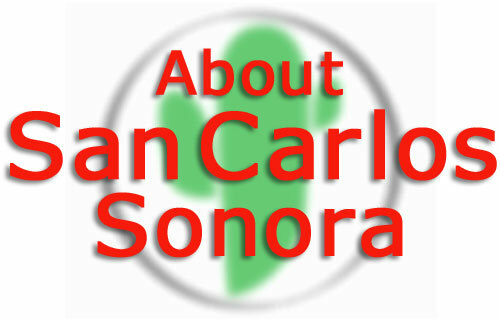 San Carlos Sonora Information - Home security, cleaning, electricians, plumbers, appliance and A/C repair, exterminators, hardware and paint stores, water and electrical utilities and more!